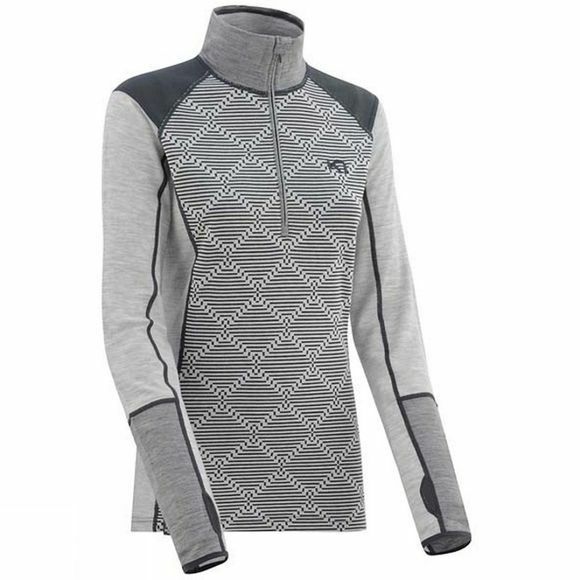 The Kari Traa Rett H/Z is the ultimate hybrid base layer for high-energy outdoor activities with its soft, technical and warm construction. Functional DriRelease combined with 1 percent Merino wool optimizes the benefits of warmth and a quick drying material. Strategically placed panels of Merino wool in different structures and weights increase performance. Extended cuffs with a thumbhole give extra coverage and comfort.